Where the value of graphic novels is under debate, it may be helpful to have a few clearly educational titles to offer as an entry point to the form. Adaptations of classic novels abound, and fit beautifully into Ashley Thorne’s argument for valuing adaptations and abridgments for their ability to make substantial literature in its original form more accessible to readers. Another great option is graphic novel biographies, which not only introduce readers to some pretty amazing lives, but also, in some cases, accomplish more through the combination of printed words and pictures than might be possible in more traditional forms of storytelling. On the plus side, as is the case with classic lit adaptations, one graphic novel biography often points the way to more, either by the same author or in the same series — it seems to be an addictive sort of work! 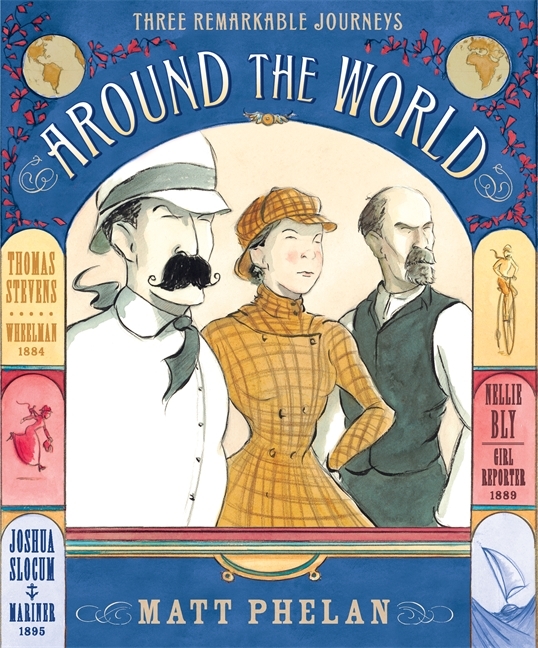 In partnership with a variety of illustrators, Jim Ottaviani has produced a long list of graphic novel biographies focused on the world of science and its intersection with society (e.g. politics, gender expectations, etc.). In addition to the titles below, look for Feynman, T-minus: The Race to the Moon, Suspended In Language: Niels Bohrs Life, Discoveries, And The Century He Shaped and more. Meet JR, short for Jack Russell. He’s an embassy dog who travels with his human companion, a diplomat named George. Just as he is getting really comfortable with living in Dublin, he finds out that they are moving to Moscow. It is not too long after his arrival that he is already bored with his mundane life; he would really enjoy having more than just the short “walkies” George offers him. He wants to run freely like he did on the sea shores of Dublin. One day, JR can’t stand it any longer and escapes from his home. While he manages to get home the first time, he begins to go out regularly. He befriends some of Moscow’s strays, who show him around town to see some of the museums and famous streets. Mostly they walk, but sometimes they jump on the subway to get around. All the while, rumours are spreading amongst the strays that an increasing number of them are missing. While his friends continue to be gracious in showing him around, even those in their close circle are going missing. He tries to help, but being a small embassy dog, JR is limited in what he can do — or so he thinks. Little does he know that he is the key to helping the strays of Moscow to cross their boundaries and rescue their friends. 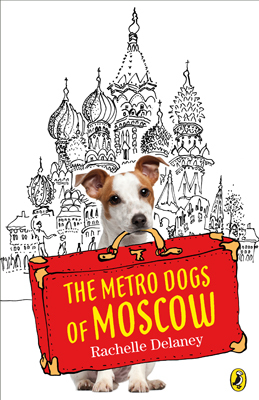 Delaney’s book, inspired by real dogs that travel around Moscow, is a treat to read. Travel with JR among the streets of Moscow, and feast on the the foods and aromas within the city (especially the mouthwatering Kroshka Katroshka stuffed potato delicacies!). See other book reviews by Quill and Quire , CM magazine and Shelf Elf. Read a little more about the Moscow’s Metro dogs on Let’s Get Lost. 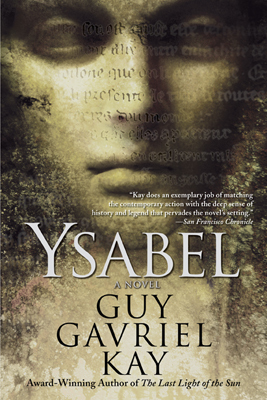 “Ned wasn’t impressed” – So begins the novel Ysabel, by Guy Gavriel Kay. Bored Canadian teen, Ned Marriner, wanders around Aix-en-Provence listening to his iPod, and spending time with Kate, the nerdy and cute American girl he meets on his first visit to Saint – Saveur Cathedral. He also uncovers secrets about himself, his family, the ancient statue in the cathedral garden, and the time-traveler hiding in the baptistery. Ned’s emerging abilities set him on an adventure through Provence into a centuries old love triangle. On top all that, Ned is also negotiating the uncertainties of relationships, independence, and avoiding the creatures that seem to be stalking him. He also learns what risks he is willing to take for the people he cares about. From that first line you might think that Ned is a stereotypical teen character, but he isn’t. The tension in the story is brought on by events that are tied to Ned’s strange new abilities, which bring about very real dangers when someone significant in Ned’s life becomes entangled in an ancient myth. Ysabel brings history and mythical characters to life, it exposes the bloody truths behind this often romanticized region of France, and takes you on an adventure that is quite difficult to put down. Ysabel would appeal to readers aged 13 and up who are fond of fantasy with strong historical roots, though Kay fans might find the modern setting less enthralling than the rich detail of his previous novels. You may also want to read the December 2006 review from Quill & Quire, or this detailed and illuminating review from Strange Horizons, which contrasts two readers’ perspectives. A journey requires something special of the participant. Separated from the familiarity and habits of home life, a person on a journey generally finds that the things that can’t be left behind — all the fears and doubts and weaknesses and, yes, strengths and joys and passions — come into sharper focus. The characters in this week’s Ten set out for various reasons, but each is faced with him or herself. What they learn about themselves, and what they do with that information, is a big part of what makes each story worth reading. Before they move to the city for a year for their father’s research, the Austin family spends the summer camping their way across the United States, offering both a bonding time for the family, and something of a journey of self discovery for the protagonist, fourteen-year-old Vicky. One day, a little boy discovers an aeroplane in his cupboard that he hadn’t realised he owned. Like any sensible child, he takes immediate advantage of the opportunity and hops on board. Unfortunately, just as the boy reaches the moon, his plane breaks down, and he finds himself stranded, with no hope of rescue and strange noises coming over the next ridge. What appears, of course, is not the monster he imagines, but an alien who has crashed on the other side of the moon. The two devise a plan, fix their respective vehicles, and return home. The final page suggests that the friendship begun with their shared adventure will continue. 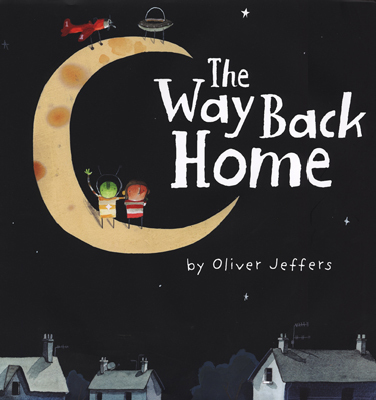 Despite the presence of space travel and a friendly little Martian, Oliver Jeffers’ The Way Back Home feels more like a fantasy, somewhat reminiscent of Crockett Johnson’s Harold stories. The story and illustrations display familiarity with a sweet child-logic, from the crescent moon geography to the little boy’s simple solution of running home for a wrench to fix the alien’s spaceship. The illustrations are evocative and humorous, full of–as I’ve been telling people since I first fell in love with Jeffers’ work through this story–the most remarkably expressive stick people you’ve ever seen. This one is sure to be a favourite for both children and their parents, who will also have fun looking for hints of Jeffers’ earlier “Once there was a boy” books, How to Catch a Star and Lost and Found, in the illustrations! Read a review from Speechlanguage-resources, which has suggestions for how the story might be used for teaching, or one from Inis, a children’s book magazine. Ten: Guess What I Can Do! Kids’ and teens’ books are full of characters with talents and abilities that don’t quite fit in. The difficulty of accepting these differences adds weight to the burden of growing up, but it also offers a point of familiarity for readers who feel out of place in life. This week’s Ten looks at the experience of otherness from various angles, with particular interest in the common secondary theme of recognising the power bestowed by that otherness and the importance of learning to use said power responsibly.